Computer programming isn’t just for college students and hackers. Here are four engaging ways to get your kids started with coding. It’s pretty clear by now that technology is a force to be reckoned with. Tech companies are ever-growing and demand for programmers has never been higher. Computers dominate our lives right now, and they will dominate the lives of our children, as well. So it’s not unexpected that many parents are interested in having their kids pick up coding. But getting them started can be rather tricky, especially if you don’t have too much experience with programming, yourself. Here, we highlight four ways to introduce your child to code. Used by millions of children around the world, Scratch is considered by educators to be the gold standard for teaching beginner coders the basics of programming. The reason? It uses blocks-based grammar that has users drag and drop commands rather than typing code. Because Scratch doesn’t require learning any complicated programming languages, even eight-year-old kids can use it. Using the website, you can create everything from short animations to simple games. It’s intuitive, logical, and familiarizes kids with the computational thinking behind programming without overwhelming them with abstract ideas. And if you want to get your child started even earlier, say at five-years-old, ScratchJr is the perfect learning tool. It doesn’t even require the ability to read; instead, children only need to connect together icon-based blocks to animate their characters. Looking for a more hands-on experience for your child? Lego robotics might just be the perfect fit. Lego Mindstorms, a hardware-software platform produced by Lego for children aged 10 and up, combines the fun of Lego-building with the intellectual challenge of programming robots to walk, talk, and even think. Calvin Grewal, a Palo Alto High School senior who interned at a startup as a web developer over the summer, thinks it’s especially great for keeping kids motivated because of the immediate results it lets them see. 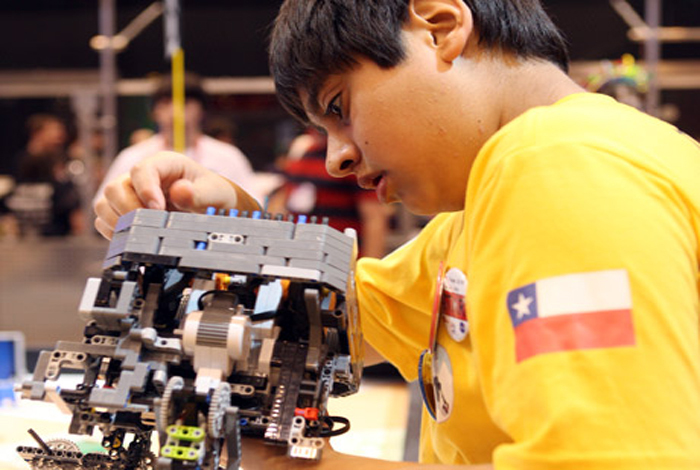 Grewal does, however, warn against having children learn robotics and coding without the proper assistance that is provided at robotics camps and classes. Camps that teach video game design are another great option for children. Because if your kids can’t seem to peel their eyes away from their screens — be it iPads, laptops, or TV — then why not have them learn how to make a video game, themselves? Grewal is a major proponent of game design camps, citing them as the reason for his initial interest in coding. He started over the summer in elementary school, where he was taught basic Python to develop a simple computer game. Because he was doing something he was already interested in, Grewal viewed learning something as complicated as coding as more of a fun activity rather than a school-related task. Game design is also becoming a rapidly-growing industry. Especially with eSports on the rise, specialized software developers are needed now more than ever to help create the next bestselling video game. For kids that love interacting with their peers, joining a school club may offer additional benefits. While programming is often viewed as an individual activity done in solidarity, clubs encourage students with like-minded interests in coding to help each other out with tips and advice. Students often find it beneficial to have others help them troubleshoot their issues. However you plan to approach computer programming with your child, it’s important to always keep an open mind. Because no matter how much they may like legos or game design, it’s still possible that coding just isn’t the right activity for them. But starting by gauging your child’s interest with some of these tips wouldn’t hurt, and perhaps they might just become the next Bill Gates.